About - Kenesky Manufacturing Inc.
We at Kenesky Manufacturing Inc. have proprietary technology that is the lightest and most innovative products on the market today. We believe our products deliver an all-around more enjoyable experience for any person wearing our equipment over our competition. We offer performance at the most affordable cost, with one of the industries best warranties and back it by unparalleled service that only we know how to offer. We play the game to win and we want to supply you with the best gear so you can do the same. 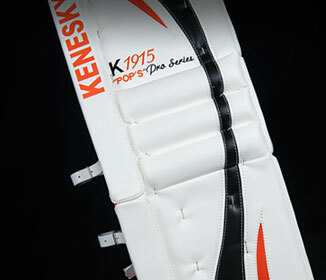 Our products are designed by goalies for goalies. 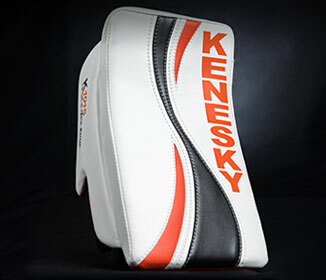 Kenesky Manufacturing Inc. is a company of goalies who have walked the walk while educating ourselves to know how to best improve goalie equipment. Due to our education, time involved with the game, and design experience, we know what goalies need to stay safe and accomplish the bottom line; which is the possibility of a zero on the score sheet whenever our goalies enter the crease. Our growth and success will be attributed to not only our incredible products, but also to our standing company philosophy; losing is not an option. 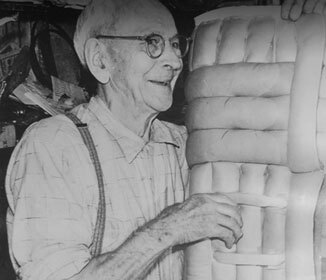 We are engineering ergonomics into our handcrafted equipment to allow for lighter designs to increase save percentages while decreasing the risks of stress injuries and the chance of failure. We here at Kenesky Manufacturing Inc. have an obsession for the sport of hockey and the drive to develop and deliver a superior product to the market and will not fall short of this promise to our customers.